The Kia Cerritos reputation is well renowned throughout Southern California. Not only do we embody Kia values and bring them to our customers each and every day, but we also pride ourselves in our dependable, honest customer service and professionalism in all interactions. Drivers from Downey, Southgate, Long Beach, Orange County, and South Los Angeles continue to turn to us for their every Kia need, and it’s no wonder why. Kia Cerritos sales staff, for example, isn’t out to simply secure countless sales. Instead, we focus solely on your needs and desires as a driver so that you drive away in your dream car. We can show you our vast selection of brand-new Kia models, including the latest Kia Sorento and Kia Forte, or introduce you to our various used car options. In any case, you won’t feel pressured into making a purchase you’re uncomfortable with, and our finance team will work diligently to make your dreams a reality through different loan and lease packages on offer. The technicians at our onsite service center are committed to your satisfaction, too, completing maintenance and repairs with accuracy and efficiency you won’t find elsewhere. We promise to get you in, out, and back on the road as quickly as possible. 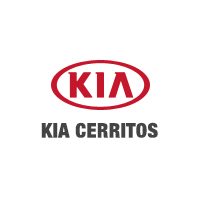 Allow Kia Cerritos to be your trusted partner in all of your automotive endeavors, from car shopping and the financing process to making sure your current Kia remains in top-notch shape. Visit our dealership at 18201 Studebaker Road in Cerritos, CA, and don’t hesitate to get in touch if you have any questions for us!